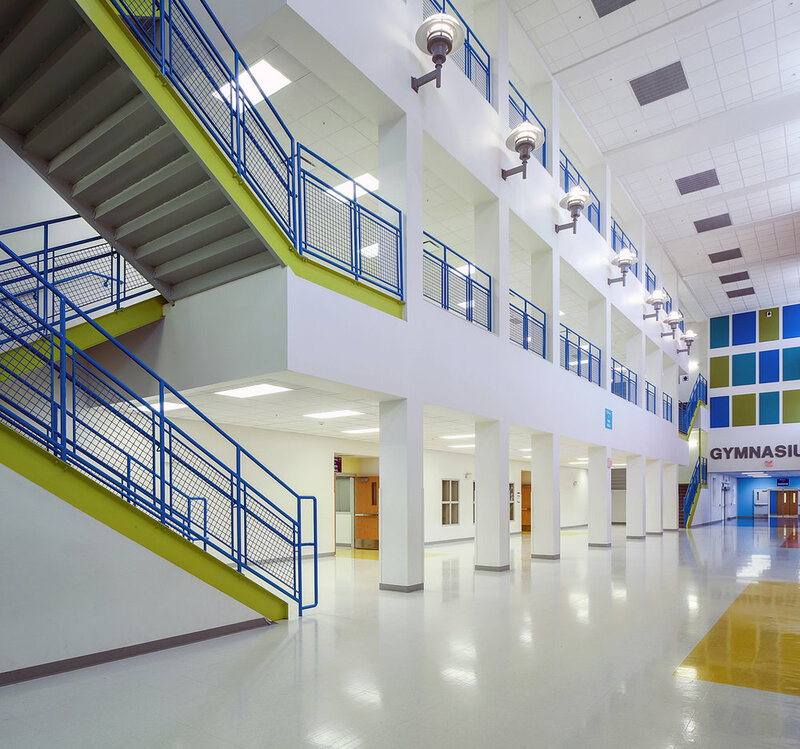 This massive K-8 school houses 1,400 student stations in over 200,000SF of new space. The unique design includes new administration spaces, a cafeteria, gymnasium, music and art suites, Ag/Industrial Arts Building, greenhouse, PE Building, track, playgrounds, basketball courts, covered play courts, bus loop, parent traffic loop, central energy plant, and an emergency generator to power the EHPA facilities on campus. The central feature of the campus is a 3-story atrium that connects the Admin, Cafeteria/Arts Buildings, and Gym together with the 3-story classroom building, ensuring that students and staff can move safely and efficiently around the campus. The 3-story classroom building houses spaces for Pre-K development, standard elementary and middle school instructional classrooms, as well as computer labs, sciences labs, and ESE spaces. 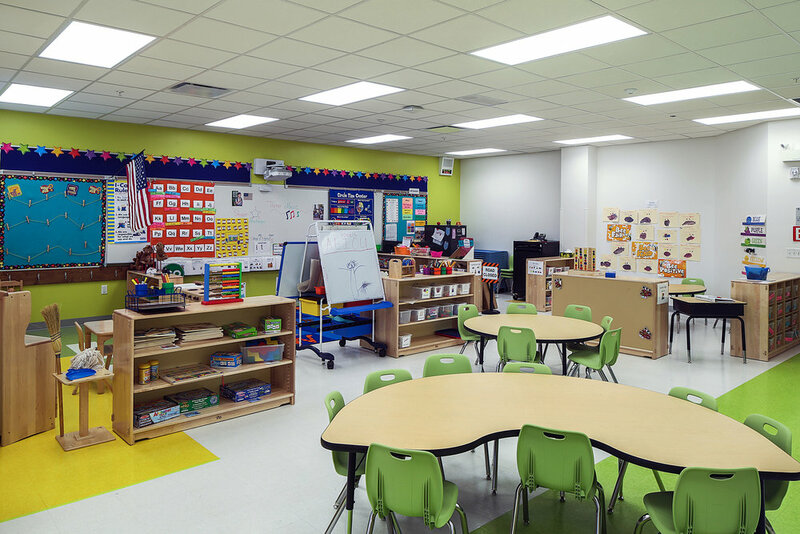 This accelerated project open for school in just 13 months!